It seems kind of fitting that on Election Day, KMAC’s Education Studio launched the inaugural use of a hi-tech tool that will help in teaching to the masses. Through the generous donations of the KMAC Board of Directors, the Education Department was able to purchase a much-needed document camera and projector. 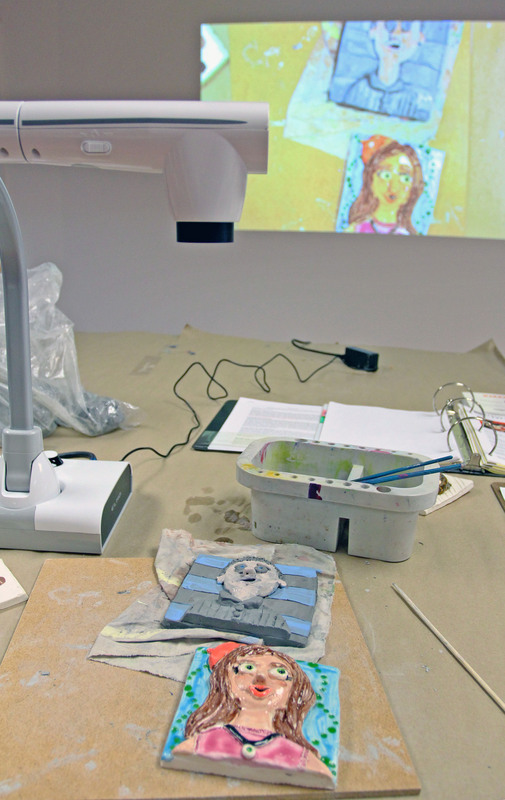 The Elmo TT-12i Interactive Document Camera System allows museum educators to demonstrate more complex art skills from a central demo table without having to spend valuable time demonstrating to each individual table. As we know, field trips are on a very strict schedule and educators must balance the tour, instruction, and make time carefully. Oh, and don’t forget about lunch! The Elmo, with its cute name and conjuring of that well known red Muppet, also has a built-in microphone and recording ability so the Ed team can prepare instruction videos in advance. Additionally, the Education Department was able to purchase a IN114a XGA 3000 Lumen DLP Projection System in order to use the document camera and to show videos, Power Point presentations, and interactive websites to enhance the art curriculum. In ode to our forefathers, here’s to Life , Liberty and the pursuit of Art. A Special Thank You to Kat Lewis, Daniel Maye, Elizabeth Mays, and Mary Stone for their generous donations.